A couple of months ago after an illness and swift deterioration, our five year old Lemon and White Beagle, Daisy, was diagnosed with a condition called Megaesophagus. This condition means that the muscles of her oesophagus that normally push food down to the stomach had stopped working. She can swallow food but it cannot reach her stomach through conventional means and she has to eat standing upright using a Bailey Chair (think children’s high chair for dogs). We tried every type of food we could and nothing seemed to work, she couldn’t tolerate the consistency of canned food or kibble, even water was near instantly regurgitated, unable to reach her stomach. 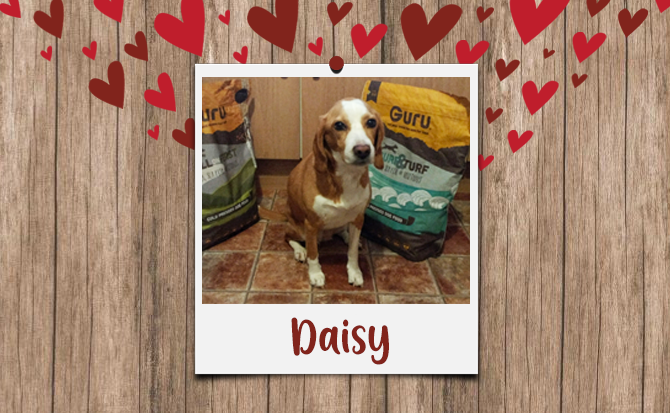 Daisy aspirated and developed Aspiration Pneumonia and spent a week hospitalised in an emergency veterinary practice. We almost lost her. 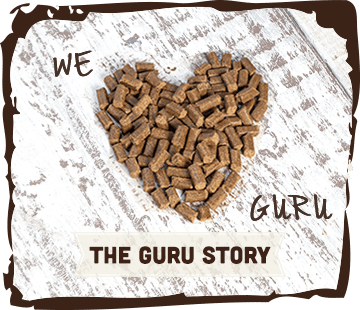 In desperation we turned to a support group for Megaesophagus, who recommended trying Guru as it is able to be melted into whatever consistency desired. After receiving our first bag and experimenting with the consistency, we have found that making it into a watery slurry makes it easy for Daisy to eat and it can reach her stomach using her Bailey Chair. It also means she gets her daily fluid intake with her meals and rarely needs to drink water on its own, reducing the risk of aspiration. She even enjoys eating again and gets so excited when she hears me preparing it for her. 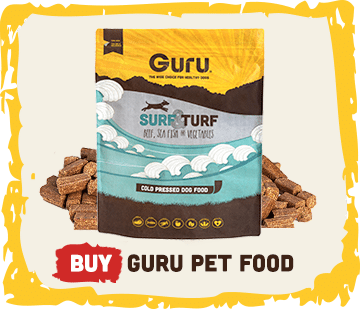 I’m very grateful for cold pressed food and impressed with the quality of Guru pet food. Having this food available means I can keep Daisy healthy both with her condition and by meeting her general nutritional needs. Up until a few years ago the recommended treatment was euthanasia for animals with this condition, as very little was known about Megaesophagus. With the help of our fantastic vet specialist and support groups we’ve been able to get Daisy back into a stable condition. Food plays a big role in this condition, as it is this that can cause aspiration and a high risk of Aspiration Pneumonia. When the food is stuck in the oesophagus they will try and clear it by bringing it back up, which is what causes the risk of aspiration. 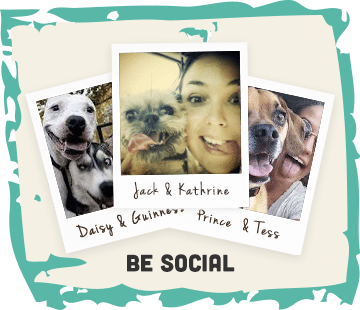 Each animal with this condition has different needs and tolerances. Daisy cannot tolerate standard food or water. So by adding water to Guru to make into a slurry/gravy, and the gravity her Bailey Chair provides, she is able to eat safely and get her daily fluid intake. Plus she really enjoys eating it as messily as possible!